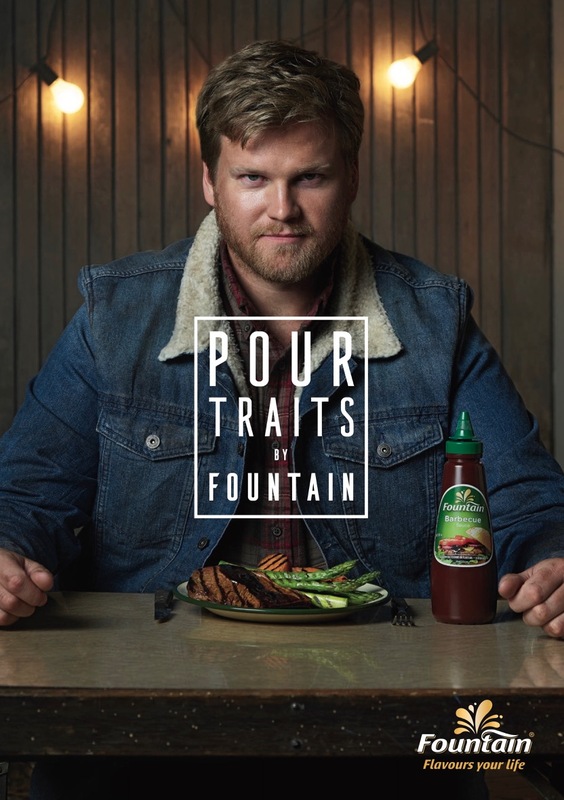 The Fountain Sauce brand is back in the news for all the right reasons with the launch of its new ‘Pour Traits’ campaign via Cummins&Partners with images by prominent Melbourne photographer Jay Hynes. The campaign rekindles the passion that Australians have felt for this popular, locally-made brand since it was first introduced in 1906. 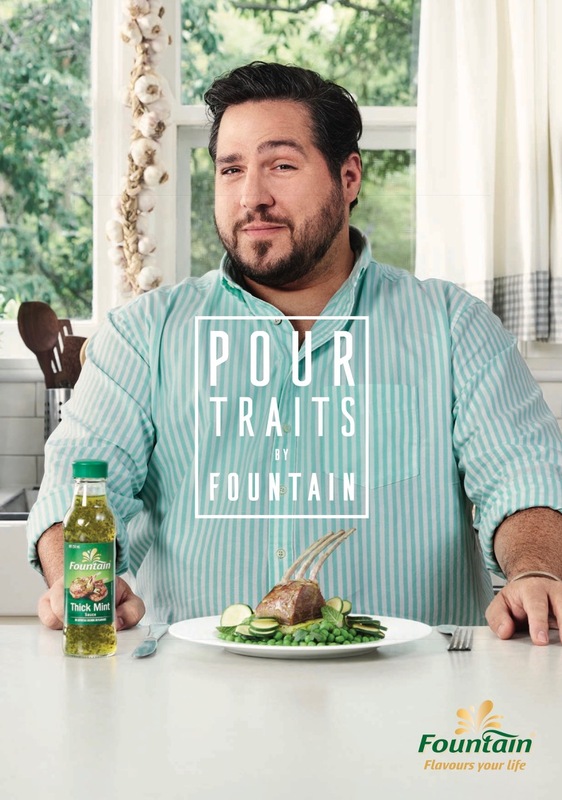 Kraft Heinz CMO, Shalabh Atray, said the campaign captures how Australians have found delicious ways to express themselves through Fountain. 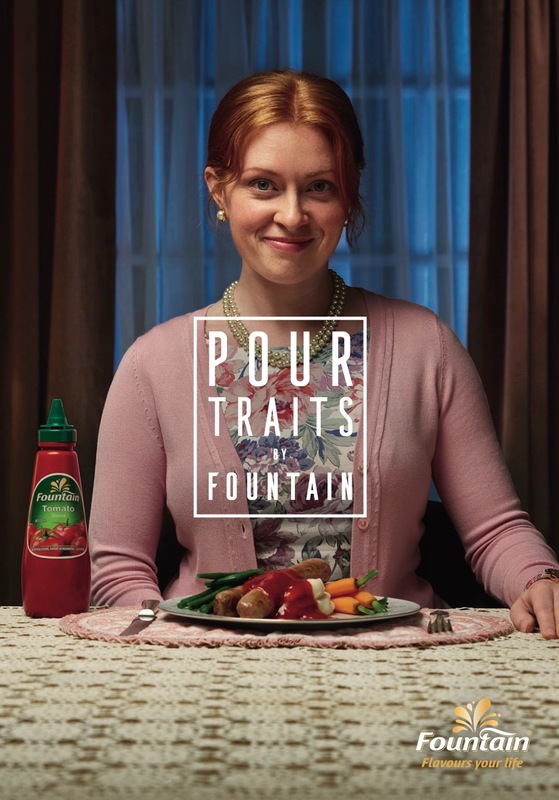 The campaign, with the theme Fountain Flavours Your Life, features everyday Australians and their favourite Fountain Sauce. 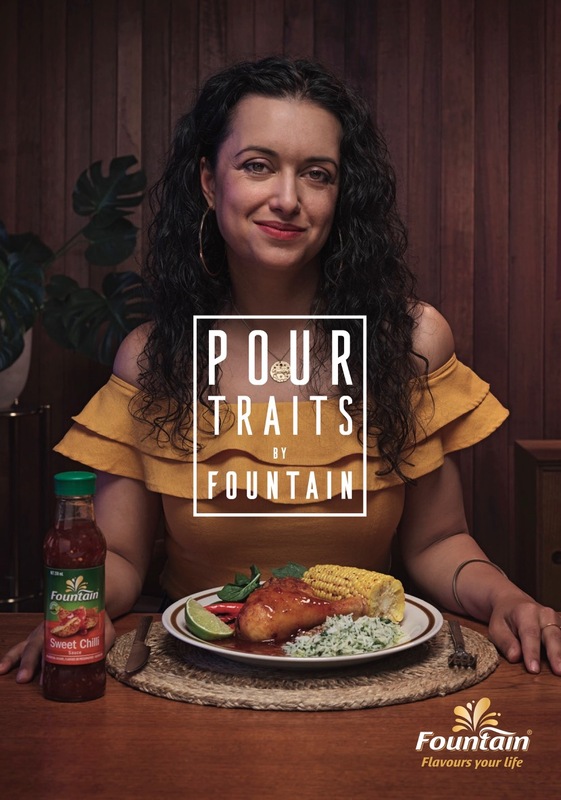 Six of the 18 sauces that make up the Fountain Sauce range have been chosen as heroes for the campaign; tomato, soy, BBQ, thick mint, hot chilli and sweet chilli. Says Atray: “Many busy people are looking for easy ways to enhance the flavour of meals with cooking and pouring sauces. 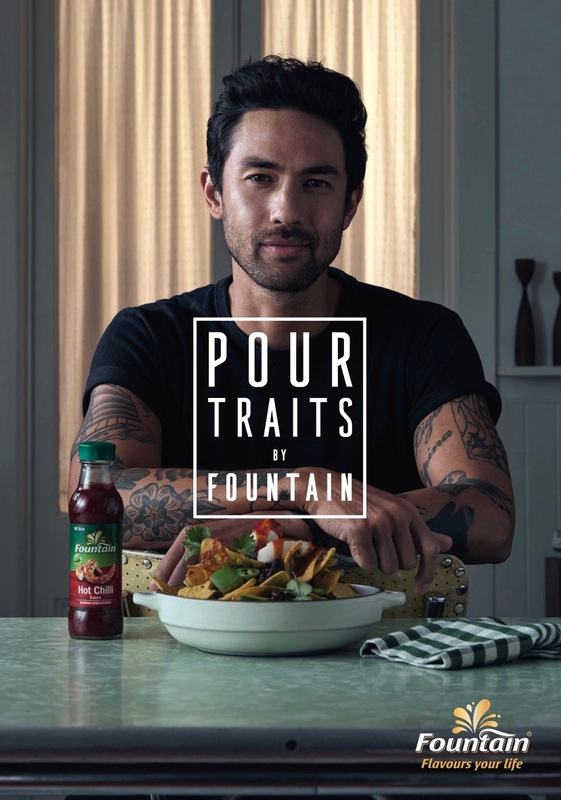 The Fountain Sauce range typifies the changing nature of the Australian community and the increased demand for a wide selection of flavours. So we PR puns now? What’s the media spend to support all of these puns. It is a pretty good play on words. And no less worthy than all the other visual and verbal puns in our business. What. No credits for the work? If you’re going to do this sort of pun it should relate to the brand name in some way, that way the pun acts as a mnemonic. The way this is done makes it very generic. Anybody could use the words Pour Traits. For beer, wine, cereal being poured out of a box etc etc. Patrick should know all about awards, his Banana ad was voted, by the staff of BMP, as the worst ad that ever came out of BMP. This work, like a fish finger with no sauce, is forgettable and bland. I love Jay’s work, but the lighting is a little off on the stills here particularly on the pack shots. But that’s a small point. If the brief was about individuality, it’s a little off the mark as the ‘characters’ don’t feel either like caricatures or real people – they’re a little wooden. Quirky casting may have worked but this talent does not. If the brief was about use occasions, it misses the mark as these are all individual experiences and sauces tend to be ‘ shared occasion’ driven, especially in Australia. If the brief was about range, it misses the mark as each of these of 15s spots will not likely be seen by everyone (nor is there any reason for audiences to seek them out). Spending three minutes on the idea before going ‘YEAH THAT’S IT! !’ aka stopping at your first idea. When will agencies stop trying to be half-cool profit-centres and start focusing on doing good work that will get noticed? Doesn’t cut the mustard, cool story bro.